Castel San Pietro Romano is located about 35 kilometers from Rome. 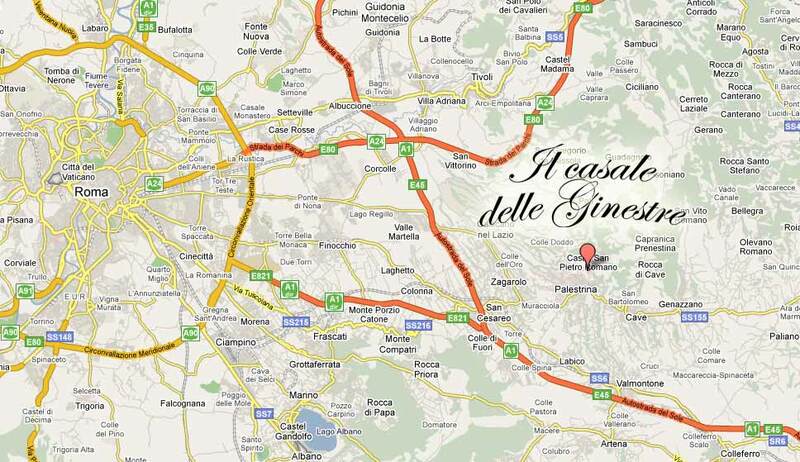 To arrive by car you can take one of the smaller state roads such as the “Prenestina” or “Casilina” and follow indications for Palestrina. You can also take one of the highways such as Roma-Napoli A1, exit at San Cesareo and drive in the direction of Palestrina, or Roma-L’Aquila A24, exit at Tivoli and drive in the direction of Palestrina. To arrive by public transportation, there are frequent trains to and from Rome (Termini Station) to Zagarolo, and frequent CO.TRA.L buses which travel throughout the area.